Click here to view the graphic version of October’s newsletter. Every student also learned several new songs and focused on refining their technique. I always have so much fun teaching new students their first skills! The new month got kicked off with a bang, as our piano students participated in their first group lesson of the school year. Everyone got to participate in fun, educational games which drove home concepts students have learned recently. The older groups attended “master classes” where they had the opportunity to perform for each other, and then discuss difficult passages of the music. As always, younger students will get the chance to practice their scales as simplified, “five finger” patterns, while older children will work on multiple octave scales, as well as the related arpeggios, cadences, and inversions. Complete theory pages during the week! At most lessons, students are assigned theory book pages to work on during the week. The theory book is a work book that helps students learn the “grammar” of music. Completing the theory pages will help reinforce concepts already learned, and insure that students are prepared to move on to new skills. Students who don’t complete their theory pages often have to be re-taught old material. Uncompleted theory pages take up valuable lesson time. Whenever a student hasn’t completed their assigned theory pages, the teacher must use some of their next lesson time for them to complete the pages. This is because the student cannot be taught new concepts until it is insured that they understand and remember those which have been taught previously. The time spent on filling out the theory pages is valuable time which otherwise could have been devoted to learning new skills and songs. Please remind your children to complete their theory pages during the week so they can get the most out of their lessons! Group lessons increase students’ enjoyment of their musical studies. Nothing motivates like passion, and kids love nothing more than having fun. Group lessons help them see that music can be both enjoyable and a social activity. Group lessons inspire students to perfect their songs. Students always work harder to make their songs sound better prior to recitals, and group lessons give them the opportunity to perform more often, but in a more relaxed setting. At group lessons, concepts are able to be taught in more creative ways, which helps students learn better. In addition, the competitive aspect of games played during group lessons drives the kids to try harder than they generally do. I’m so pleased to hear all the positive feedback after these first group lessons of the school year. It sounds like the kids really enjoyed the sessions and learned a lot. I was glad that several of our adult students showed up as well, because the learning that went on then was just as inspiring. The next set of group lessons (during the first week of November) is going to be more focused on the performance aspects, as students will be beginning to prepare for the coming recital in December. Throughout October, each student will prepare one special piece that they will have the opportunity to perform at the next group lesson. I’m looking forward to watching the students give these pieces extra effort! We can’t say too much yet, but it’s too exciting to not mention: plans are in the works to open up a studio location for Salem School of Music! We are expecting to start accepting new students for our studio location in spring of 2014. Don’t worry though– we will continue to offer the very convenient in-home lessons as well! Practice Policy | Private students are expected to practice daily on a well-maintained instrument. The practice area should be located in a quiet area away from distractions. The most important time for the student to practice is immediately following the lesson – or at least on the same day as the lesson, after the student has received instruction. Research indicates that retention rate is as high as 90% on the first day, whereas it drops to almost 60% if the student waits just 24-hours. At SSM, we say aim for six and expect five days of practice. If a student has 30 minute lessons, a good daily practice session would last 15 minutes each day. If a student has a 45 minute lesson, a good daily practice session would last 30 minutes each day. Students with hour long lessons should practice about 40 minutes each day. You get out of it what you put into it – what we require is consistency. The results speak for themselves. 1. Don’t over-schedule. I have heard so many students talk about their unbelievably busy schedules. Taking piano lessons is not merely a half-hour a week commitment. It needs to be a daily commitment. If a student is too busy to practice then there is no need for them to be taking piano lessons. 2. Have a set time to practice every day. If practicing is part of a daily routine, it is much more likely to happen. If students are putting practicing at the bottom of their list of things to do it will never get done. Parents are responsible for setting their child’s schedule and making sure family members or friends are not interrupting the practice session. Don’t expect a child to have the discipline to practice on their own. They will need daily reminders and guidance. 3. Do it right from the very beginning. Once you have practiced something incorrectly, it is very difficult to correct it later on. According to psychologists: A stimulus enters long-term memory (that is, it is “learned”) after it has been attentively observed 7 times. But if an “incorrect” stimulus is first learned, it then takes an average of 35 repetitions to learn the “corrected” stimulus. So in other words if you are practicing a piece and you are playing an A key instead of B key, it will take you 35 more times to re-learn it with the correct key. Why waste all that time when you can just start off with slow, attentive practice right from the beginning? 4. Be your own teacher. When a student plays a piece for me, I often will ask, “Does that sound right to you?” Their answer is usually no. If you know it does not sound right, do something about it! Check for wrong notes, sharps or flats, incorrect hand positions, etc. Trust your ear to let you know when something isn’t right, and take the initiative to correct it instead of waiting for your teacher to make the correction. 6. Analyze the little things. There are so many notations made in music. Notice the tempo marking at the top of the piece (the recommended speed), the dynamic markings (how loud or soft to play), the finger numbers, the accidentals (sharps, flats and natural signs), the extra markings such as ritardando (gradually slowing down), first and second endings, D.C. al Fine and a whole list of other possible markings. Make sure you know the meaning of all the symbols and words in your pieces before leaving your lesson. I recommend owning a music dictionary to look up any terms that you don’t know. 7. Warm-up with technical exercises. Just like athletes, pianists need to warm up before playing. You can do something simple like a five finger exercise, or something more complex such as scales and arpeggios. Always start out slow and allow yourself time to get warmed up. 8. Limited Hands-alone practice. I think it is good to start out learning a piece by practicing hands alone. But once you have gone through the piece a couple times with hands alone, it is important to put the hands together in small sections. Your brain needs to work on coordinating the two hands together. Take it slow and steady. Do not try to rush this process. It will take time and a lot of concentration but eventually it will happen. 9. Spend time learning theory. It’s important to learn theory so that you understand how music comes together. If you look at a key signature and understand why certain notes need to be sharped or flatted, that will make it much easier to learn the piece. Students should spend time each day on some type of written work. Whether it’s identifying notes for beginning students, or analyzing chord structures for the more advanced students, studying theory will give the students a much better understanding of how music fits together. 10. Count aloud or use a metronome. When a person is playing the piano, it is so easy to cheat the rhythm. In the players head it sounds perfectly fine, but to the audience it often sounds like a jumbled, out-of-control mess. So that is why it’s important to be held accountable for all of the beats in the piece by counting aloud or using a metronome. I know it is very difficult to do, and most musicians view the metronome as their enemy. But it is so important that the pianist feels every beat to provide a much needed foundation for the piece. Start the metronome at a speed much lower than you are capable of playing the piece at. Then slowly increase the tempo until you are able to play the piece at the desired tempo with the metronome. While practicing the piano can get tedious at times, try to look at it as a puzzle just waiting to be solved. Come up with creative ways to make the piece more colorful with contrasting dynamics and exciting mood changes. Imagine what type of scene the composer had in mind when they composed the piece. With the right mindset, practicing can actually be an enjoyable experience! If you are opting to continue private lessons over the summer, please let me know, and I will either call or email to schedule your lesson days and time. Lessons will run from June 3rd through August 17th. Everyone will take a two week break at the end of August. The school year of 2012-2013 has been a great blessing and so very fun. I’ve enjoyed every minute of teaching each of my students how to better appreciate music, and further develop their talents. I’m excited to let you know about some new opportunities that are coming in the summer and next school year! Students may continue weekly lessons (10 in total) as normal. Or, students may participate in three monthly group lessons “camp.” These lessons will occur during one week in June, July, and August. Each monthly camp is comprised of 1-hour sessions over 2-4 days. Class sizes are generally 3-7 students. Students may participate in two of the monthly summer group lesson “camps” while taking 4 lessons scheduled approximately every other week around the student’s family vacations. The dates and prices of the group lesson “camps” will be listed as a separate post, as well as on the events page. Students who are opting to continue with normal weekly lessons may also attend the camps for a nominal fee. Secondly, beginning next school year, we are going to have a new payment structure. With the new plan, instead of paying a different amount each month, based on the number of weeks in each given month, everyone will instead pay the same rate every month. Please read the new Fee and Pricing Sheet or the Studio Policies to fully understand how this works, however, basically, each family will just be paying a portion (1/12th, to be precise) of the year’s tuition, instead of for the lessons in that monthly in particular. This means that the monthly rate will actually be a little less than most of you pay most months, but that it will be the same every month. Please ask me to explain if this is still confusing to you. The new payment structure and lesson schedules will start in September of 2013. Over the next few months, you will be receiving a couple different information sheets explaining changes. Thank you so much for your support as I try to simplify things for everyone! 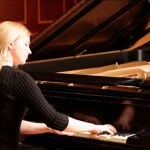 This is the second part of a two part article about how to plan successful piano recitals. When the day finally comes for your recital, you’ll want to be prepared. There are a few things that I have found very helpful in past years. First of all, if you are offering refreshments, you will need to have those. I like to offer this service, just because it makes the kids have very positive memories of the recital. Make sure to plan for enough food to serve all your guests! Running out is embarrassing and unprofessional. For every twenty people that come, I like to have 1 vegetable tray, 20 cookies, 2 (2-liter) bottles of soda, and a supply of cold, fresh water. On the day of the recital, you certainly don’t want to be taken by surprise in any way. It’s good to know what might be expected of you. Often, you will need to set up chairs and possibly tables. If you are expecting more than 30 people, I would recommend asking for help, as these tasks can be quite daunting. You will also be expected to open the recital with a brief introduction. Just be sure to thank the students and their parents, and to give any announcements, such as reminding people to silence their cellphones. This part doesn’t need to be long. Just make it happy and to the point. Finally, expect to smile a lot! Chances are that a lot of people – parents and students alike – will be congratulating and thanking you. Recitals, when planned properly, are a joyful time of music and fun! 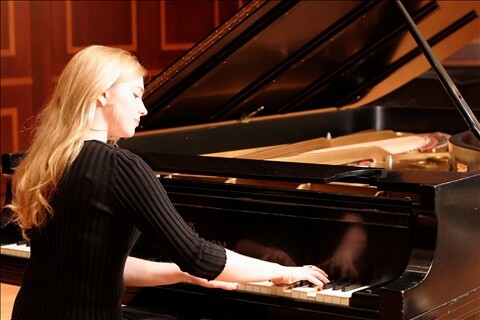 In just over a month, our 6th semi-annual piano recital will be upon us. Recital brings with it a rush of many different emotions. The parents are so proud and so careful, the students so nervous and excited, and I, as the teacher, am so very busy and occupied. I just love the rush that recital brings with it. Everyone tries so very hard and makes such a great effort. And, it pays off! The students play wonderfully, I look on with satisfaction, and the parents glow with pride. Sometimes, after all the rush, we can forget the work that goes into planning the recital itself. Before you plan to have a recital, it is very important that you first make sure that is what your clients are looking for. Most parents of school age children desire that their children perform– and with good reason! Performing not only helps to increase confidence, but also gives the students a unique competitive edge that encourages practicing like nothing else does. However, just keep in mind that if most of your clientele is adults or preschoolers, a recital may not be met with the same level of enthusiasm. After you have established that a recital will, in fact be a good fit for your studio, your next steps will be to secure a venue and set a date. Venue options generally include: school auditoriums, church sanctuaries, community centers, and the rec-rooms found in schools or churches. You will have to weigh the benefits of each, including size, cost and location. Generally, churches and schools are the most affordable, with churches being the easiest to come by. However, I encourage you to check out each of your different options in your town. Make sure that the venue is centrally located for your students. If you have a large group, and especially if they are geographically spread out, you may choose to hold two, separate recitals, to better cater to travel ease for all. As for when to hold the recital, generally, I like to take a quick survey of the families before I decide. I ask mostly about any upcoming vacations. Sickness can hardly be planned for, and I can generally persuade students to for-go a single sports game. After I am sure that most people will be in town on a given weekend, I go ahead and set my date. I generally prefer Saturdays, in the morning. When I first started holding recitals, I scheduled them for afternoons and evenings, however, it soon became apparent, that, at least among my clientele, there was a great preference for mornings– I think that this is because it reduces the time the students waste worrying and stressing about possible trials. As soon as you settle on a day, time, and location, you will want to print up some handouts for the parents, explaining the details. This is vital. If you fail to do that, you likely will end up with several students who end up being out of town, or with scheduled appointments on that day. It is destiny. The handout need not be anything fancy. Simple printing paper, cut down to size, with black print giving day, time, location, and any other details you wish to include (such as reminding students to bring their music books, or letting parents know that extended family is welcome). Part 2 of this post will include: supplies you’ll need to have on hand; easy ways to create your own programs (that look like they took a lot more time then they did); how to cope with student anxiety; and what you should expect to be required of yourself on the day of the recital. Welcome to the NEW NW School of Music Website! I am so excited to announce the creation of our brand new website nwschoolofmusic.com! After seven years of existence, NW School of Music finally has a place to call home on the internet. I’m so glad that you found you way here. The site is still under construction, and there is a lot of work to be done. My hope is that, in its end state, it will not only include information about SWSM for prospect students, but it will also be a rich resource for current students and parents. This website will even possibly eventually include methods to pay music lesson tuition online. Thank you so much for taking the time to check out our fresh, clean new website. We are so happy to have you!